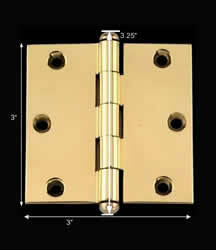 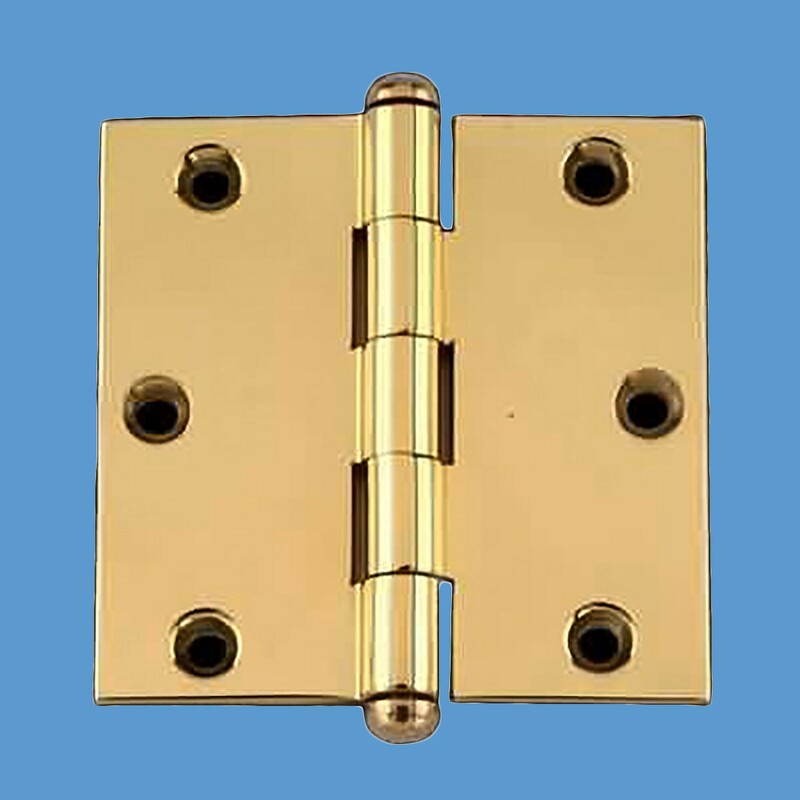 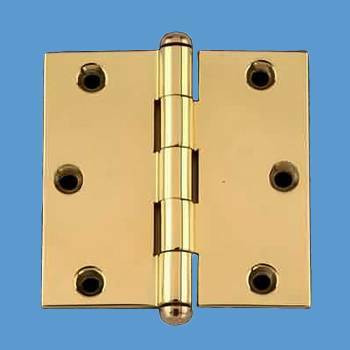 This beautiful and sturdy Solid Brass Door Hinge measures 3 X 3 Inches, is extruded solid brass & precision CNC machined. It includes 2 interchangeable Button Finials and a non-binding stainless steel removable pin built to ANSI standards. 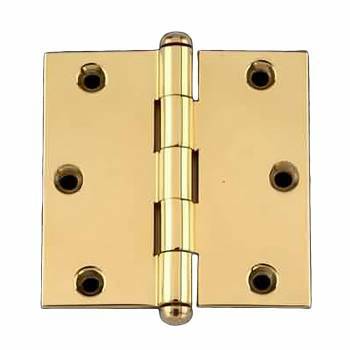 This magnificent door hinge is made in the US Factory of Renovator's Supply and has our Protective RSF Finish.